Yes, Ezeelogin would work behind a firewall , NAT or a proxy. It would need to establish a connection to license.ezeelogin.com on port 443 to fetch the license. 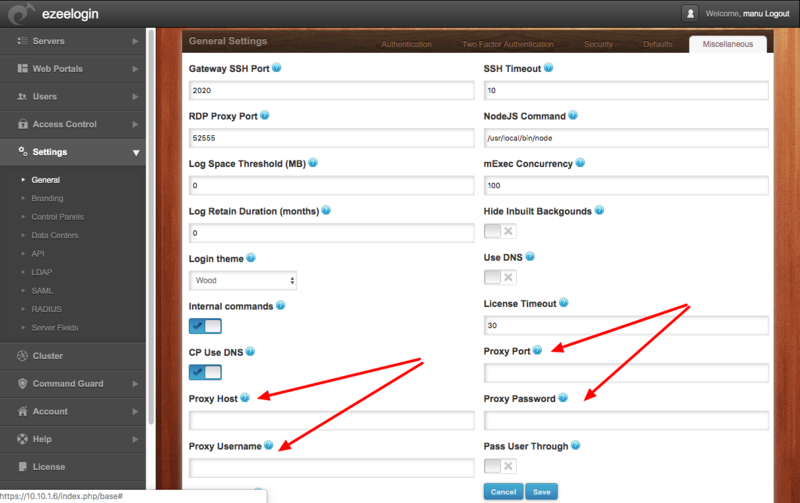 In the web panel, you can specify the proxy host details under the following tab. Posted - Sat, Jul 8, 2017 at 7:57 AM. This article has been viewed 1629 times.